Posted 4:00 pm by TheBuzz & filed under . Posted 2:56 pm by TheBuzz & filed under Uncategorized. Posted 4:46 pm by TheBuzz & filed under News from our Advertisers. Posted 10:00 pm by TheBuzz & filed under . Posted 6:54 pm by TheBuzz & filed under News from our Advertisers. Posted 5:00 pm by TheBuzz & filed under . Come and speak with representatives from the Parks & Recreation Department and get information on employment with the City of Brighton. 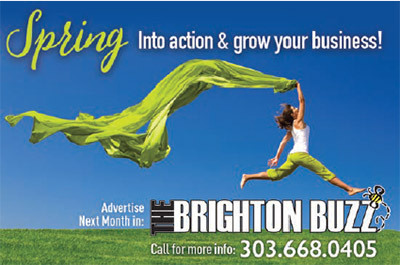 Posted 10:42 am by TheBuzz & filed under News from our Advertisers. Posted 12:00 am by TheBuzz & filed under . Posted 3:30 pm by TheBuzz & filed under . Posted 10:47 am by TheBuzz & filed under News from our Advertisers.